I have recently started my journey to earning my Master’s Educational Leadership degree. I have always known I wanted to advance my education and earn a Master’s degree, but was waiting for the “right time.” Over the years, I thought about what I wanted a Master’s in and where I would like to go. I did a lot of research at different campuses, online programs, but none of them stood out. I graduated from TWU, and I knew they only offered and online degree. I was more interested in finding a program that allowed me to have face-to-face meetings as well as online. I considered the University of North Texas in Denton, but that was a long drive from where I am at now. As the search continued, I came across UNT-Dallas. I also knew two coworkers that were going to UNT-Dallas to get their Master’s Degree. The more I considered, the more I knew I wanted to attend. As I started my journey at UNT-Dallas, it has been nothing but positive, encouraging, and is flexible. The staff is also great. They are supportive, encouraging, respond in a timely manner, and take the time to see what is the best fit for each person individually. If I know someone is considering getting their masters I would recommend going to UNT-Dallas. When I had a question or concern, they could find an answer for me in a timely manner. They are flexible in offering classes online, in person, or even some hybrid classes. As a teacher, this allows me to be able to continue going to school as well as work full-time and spend time with my family. I hope to be able to get my Ph.D. at UNT-Dallas if possible; I also plan to be a life-long learner. As a teacher, I always say you cannot stop learning. My classes have been very beneficial to my teaching and future career as a campus leader. Not only do I learn new and different techniques to help improve my school, it helps improve my teaching skills, get new ideas, and be able to look at a bigger picture. 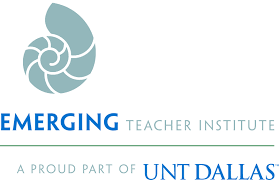 My experience in the Master’s in Educational Leadership program at UNT-Dallas has been one distinctively compassionate. I know this to be true because this will be the second Master’s degree of my career. I am currently pursuing a Master’s degree in educational leadership. My first Master’s degree was in psychology. I’m in my second semester of a leadership program where I will earn a Master’s degree in education. I searched online for nearly six months while working and living in California. I knew I was headed home to Dallas at the end of the summer in 2017 and I found the UNT-Dallas program. I phoned and talked extensively with a gentleman who was the Superintendent of the Carrollton-Farmers Branch school district. He was very nice and compassionate about the program, and about my contribution to the educational system. I was encouraged. He made himself available to me for any and all questions and he stayed in constant contact until my acceptance letter was delivered. It was amazing! I am in a cohort and was enrolled in two classes during my first semester (Fall 2017). The admissions coordinator/officer has and will continue to enroll me in all of my classes, so that I am not burdened with taking unnecessary classes. She answered any and all concerns that I had, and showed compassion to me knowing that I have to work full-time and take care of a family, all while attending classes. My classes during the first semester were rigorous and meaningful. However, my instructors were first-year instructors. This led to frustration and unhappiness among my peers and I. I reached out to the Dean and encountered his assistant. I was reluctant to tell her why I was calling, but she was very empathetic, patient, and kind. She took time to listen to my concerns and complaints. In addition, she was sincere and advised me to speak to the Assistant Dean first. She showed compassion and empathy, which I truly appreciated. To my surprise, the Assistant Dean contacted me in a timely manner, as the assistant assured me he would. The Assistant Dean listened and did not judge or make light of my concerns. He offered guidance and said that he would do a better job of coaching his new professors. He took responsibility and asked for me to provide feedback before the end of the semester. Things got noticeably better and the classes were enjoyable and informative. I appreciate his compassion and checking in to be sure that I was being successful in the program. The classes aren’t easy, but they are informative and the professors are masters in their subject areas. In addition, the classes allow us to acquire practical experience with texts that are pertinent to our success as leaders in education. I look forward to graduating in 2019. On this day, 10 years ago, I became a school administrator. I was 4 months into my first year as an AP in an elementary school. I assisted in saving the life of an older gentleman through CPR and AED. He collapsed in the main office 10 minutes before lunch time on a Friday. I had to coordinate EMT, 1st graders, parents, cafeteria staff, and breaking the news to my music teacher that it was her husband who sustained the heart attack. Remember, God does not choose the qualified, he qualifies the chosen. When leadership is thrust upon you, take that opportunity, run with it, and trust your training, relationships, and education to see you through. But, most importantly, never lose what’s truly important in any leadership role…serving people to make them better than when you met them. You have no other role.